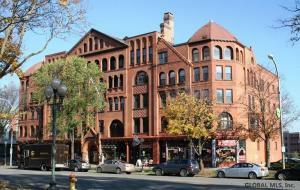 Spectacular Washington Parkfront Walkup: Huge floor through 2nd story 1-bedroom with oversized living & dining room. Gorgeous hardwood floors. Windows overlooking Washington Park. Modern galley kitchen. Walk-in closets. Large additional entry-hall with fireplace and bookshelves. 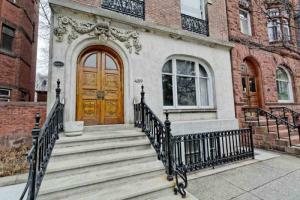 Elegant entry hall & staircase; elevator, intercom, security; free on-site laundry. Rent also includes: heat, hot-water, electric, building maintenance. Great location. Great price. Call today! This is where your search ends and the next exciting chapter of your life begins! 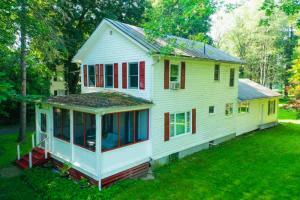 See this spectacular split level with a cozy front porch, perfect for relaxing on warm summer nights! This property features 3 Bedrooms, 1.5 Baths, oversized family room with fireplace insert, spacious floor plan to entertain and lots of natural light. 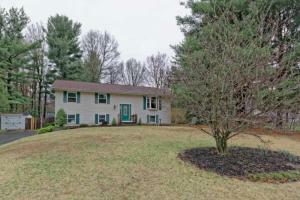 Spend time in the large backyard with views of forever wild woods and enjoy its peaceful setting. 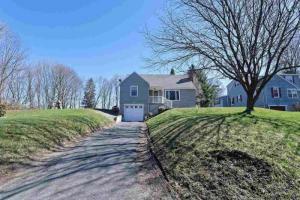 Situated in the friendly Antonia Hills and Shalmont School District. 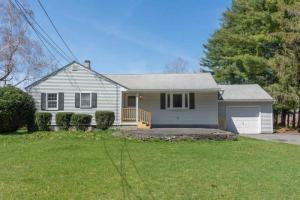 Well cared for 3 bedroom ranch in Guilderland School District. 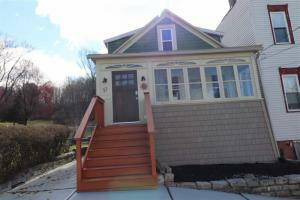 Located on a quiet dead end street great for walking with a park nearby. Hardwood floors throughout and central air. Large fenced in yard and shed for extra storage. Finished area in the basement for additional living space! 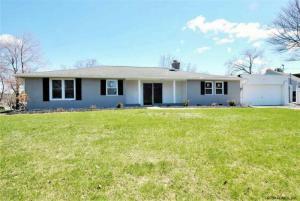 Absolutely beautiful Ranch home in pristine condition, totally updated and perched on 4 city lots. 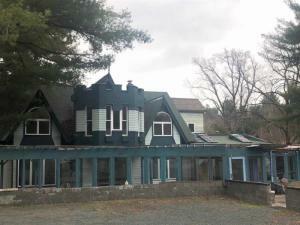 This home was totally gutted down to the stud in 2003. 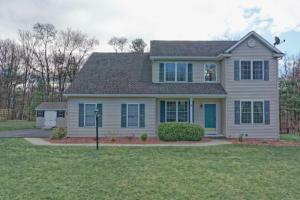 Absolutely everything new w/Cherry Kit Cabinets & Wood Floors throughout! 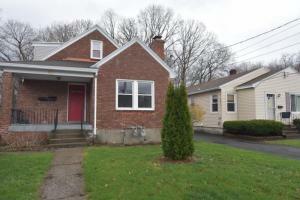 Since the current owners have owned this home they have continued to make improvements. Just a few of the addl improvements; Trane Ductless Split A/C w/heat pumps, main bath has new tile floors, vanity & stone top. New Kitchen Island w/granite, 20 amp GFI Receptacles w/USB Charger, Recessed Lighting w/dimmers, new cordless window shades, outdoor deck lighting, Gazebo on deck and so much more. 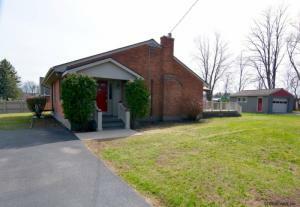 There is an over-sized detached Brick Garage and plenty of outside green space. 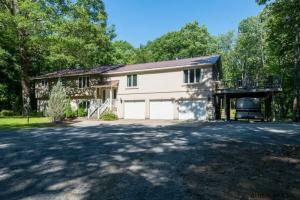 Full bright & dry heated basement. 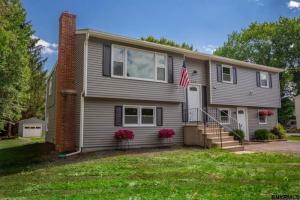 This home is move in ready and shows like new. 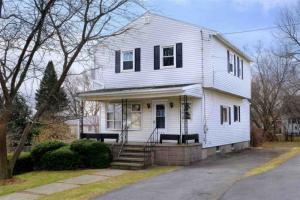 Fantastic opportunity to become a homeowner in the town of Glenville and make this charming traditional home YOUR Home Sweet Home! You'll be pleased to find updated windows, nearly new furnace (approx. 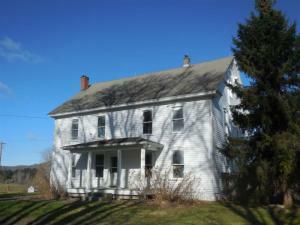 3 years), newer roof & siding, spacious yard with fenced-in AG pool (2 years old liner) and bordering babbling broke. 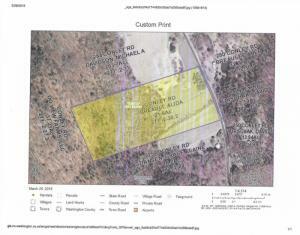 Enjoy being close to the town center along with the serenity of a private lot with neighboring fruit farm. Don't miss it! 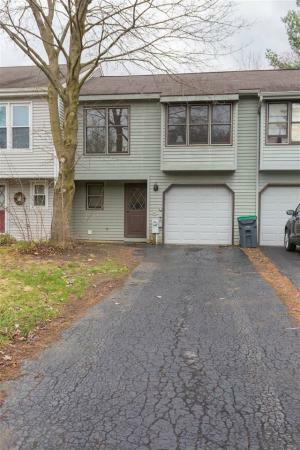 Spacious 3 bedroom, 1 1/2 bath town home with a cul de sac setting. 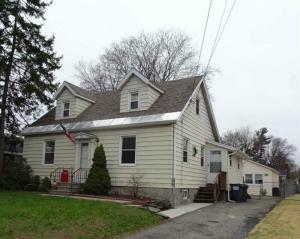 Lots of updates such as a young roof, double pane vinyl window, newer hot water heater, driveway, garage door and opener. Brand new carpet just installed throughout. Open concept floor plan with L-shape living room/dining room combo. Kitchen w/pantry and pass through openings to living areas. 1st floor laundry w/washer & dryer included in updated 1/2 bath. Huge master bed room w/walk in closet, triple windows for lots of natural light, computer nook and private access to main bathroom. Two more good sized bedrooms w/double closets, one w/window seat and one with pull down attic storage access. Fenced in yard w/6X8 patio. 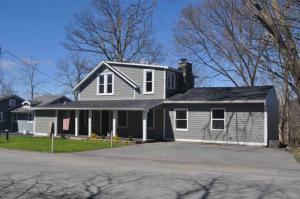 Close to highway, restaurants, elementary school, playgrounds, apple orchards and river nature trails. Three bedroom, one bath house with detached one car garage. 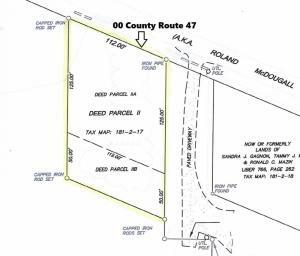 Level field building lot just outside the little falls city limits. 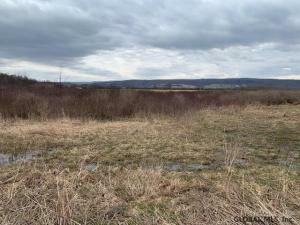 Slightly overgrown hay field offers both privacy and dramatic vista valley views. Build your new home and enjoy a beautiful area. 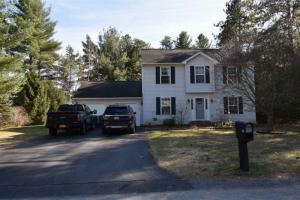 One owner home on a wonderful private culdesac lot just minutes from Saratoga Lake's Waterfront Park. 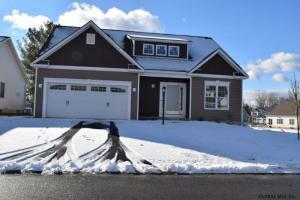 Features include first floor master suite, formal dining room with picture frame molding, two story family room with gas fireplace, spacious eat-in kitchen with white cabinetry and quartz countertop. Amazing theater room on second level. First floor laundry. Walk-in pantry. HOA covers lawn care and maintenance, snow removal including sidewalks and driveways. Quick closing possible. 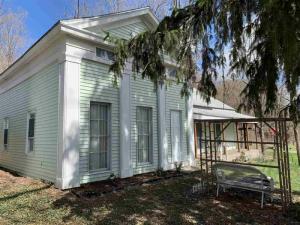 Impeccably kept historic home in the town of Valatie. 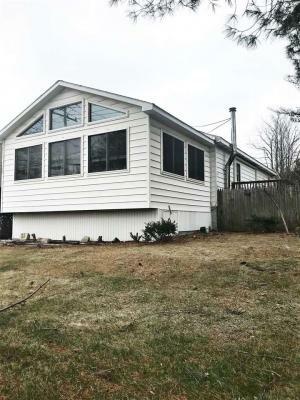 Boasting a sprawling screened in front porch, two car attached garage, three bedrooms, two bathrooms, with a very large kitchen and dining room. Original wood stove. Beautiful and easy to maintain landscape... steps to the picturesque Beaver Mill Falls and Pachaquack Preserve. Ichabod Crane Schools, great local restaurants, town life in one direction, bucolic country setting to the other. Come for a visit today! Owner financing available. 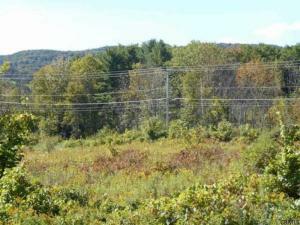 Beautiful far reaching catskill mountain views. 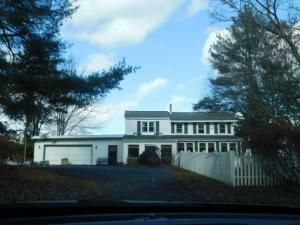 Quiet country road, within 30 minutes to Albany, the Berkshires, Parkway and Thruway. Sharp 3-4 bedroom 2.5 bath Avon Crest ranch features open floor plan with hardwood floors throughout, sun filled living rm, gracious formal dining room w slider to rear decking, remodeled kitchen w/abundance of cabinetry and corian countertops, updated main bath, updated furnace and central air, freshly painted, new crown moldings ,finished basement w family rm, bedroom, office, half bath, laundry rm, and wood shop. Awesome corner lot w large newly fenced in yard and deck and patio and inground sprinklers! 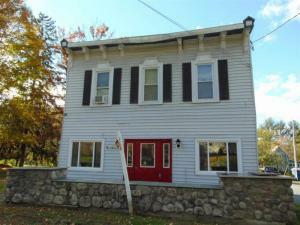 An affordable 1 Family or inlaw in the Town of Colonie. All rooms freshly painted. Attractive newer kitchen. Beautiful hdwd floors. New bath w/jacuzzi tub and inline heating unit, new tile floor. Offfice or den could be used as bedroom. 2nd unit also freshly painted. 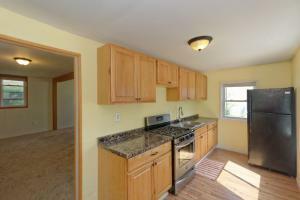 BR completely remodeled, kitchen re-done with new cabinets, countertop, sink, faucet. Bath has new Delta Neo-Angle Shower Enclosure, new light, new tile floor. 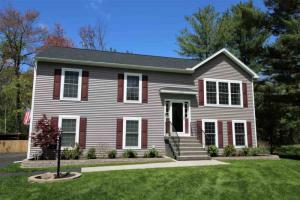 Exterior features newer vinyl siding and roof '09, extensive landscaping, expansive corner lot. 3-Season enclosed porch. 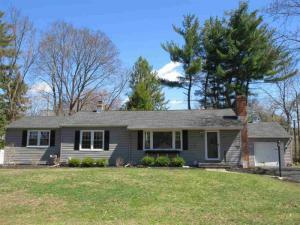 OPEN 4/28 12-2 This home has it all and more! 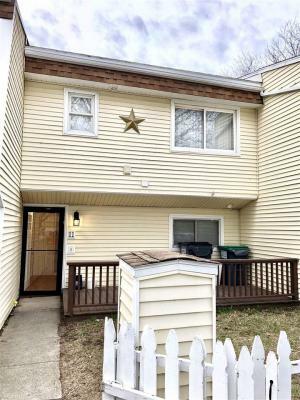 4 Bedrooms, 2 full baths, new appliances, newer siding, windows, roof, furnace, remodeled baths, new garage door, wood stove insert, hardwood floors, updated bathrooms, public water, Natural gas, oversized deck, double lot, and convenient location! Enjoy the feel of being in the country while living in a development! 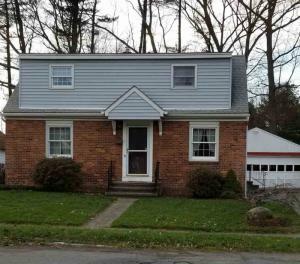 RENT-TO-OWN TODAY * PRICED TO SELL * INSTANT EQUITY ~ Gorgeous, fully renovated home (top to bottom) in highly sought after Burnt Hills/Ballston Lake School District. 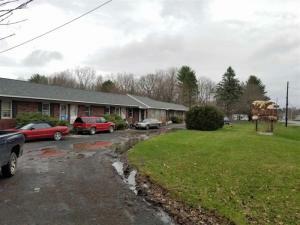 Amenities include OPEN CONCEPT, white shaker cabinetry, granite countertops, large island, SSA, HW floors, ceramic tile, 1st floor laundry, 2 sunrooms, deck, patio, off street parking; and MORE, all in a grand home, on a large lot, for a small price! Almost everything is new, including roof and mechanicals. Get more for your money today! 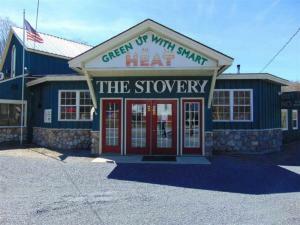 IMPECCABLE 2 Story w/GORGEOUS MOUNTAIN VIEWS outside of Troy/Brunswick in Raymertown. This home features spacious family room, large eat in kitchen, dinning room, and boasts a huge first floor master bedroom. Other amenities include: A very spacious second floor master bedroom w/ large closets, 2 full baths, central air conditioning, 3 year old gas furnace, new hot water heater, updated electrical, huge attic storage which could be converted into a large 3rd bedroom, all appliances included, 2 car garage w/ electric opener, Close to the newer east side of Troy/Brunswick area for shopping, restaurants & entertainment. TREMENDOUS VALUE!!!! BRUNSWICK (BRITTONKILL) CENTRAL SCHOOL DISTRICT! 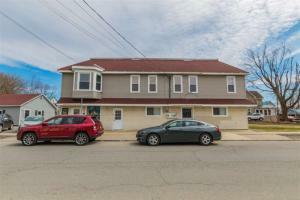 Great investment property located in close proximity to University at Albany, St. Rose, Sage, and Albany Law/Pharmacy/Med. 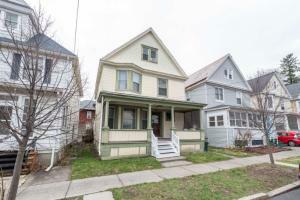 Property features spacious living room with original woodwork as well as large formal dining room, open Kitchen and great sun room. 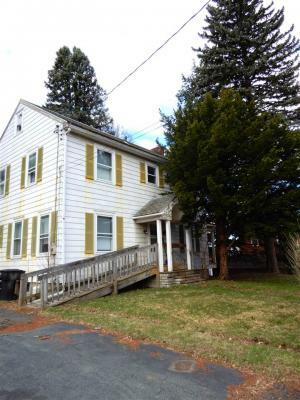 Property offers 4 Bedrooms on second floor with potential for 2 more bedrooms in finished attic space. Unlimited potential. 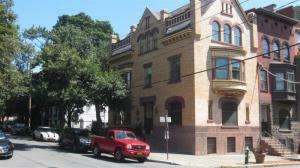 Currently used as a student rental and garnishes $525 per room per month in rental income. Don't miss out on this fabulous investment property. 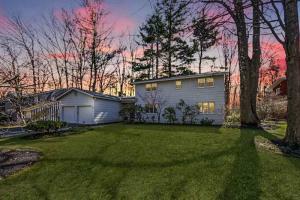 Come see why so many have decided to call The Villages of North Greenbush their home. 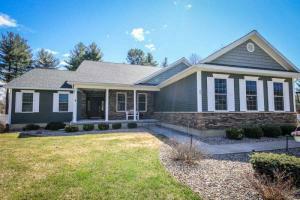 Featuring hardwood floors, tile, granite counter tops, Wellborne Cabinets and Kohler fixtures. 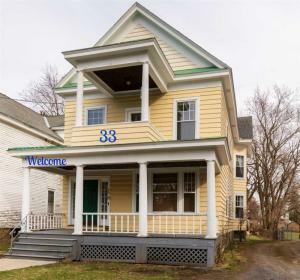 An ideal location with direct access to 787 and I90 and walking distance to CTDA bus line for those who choose to use community transit. 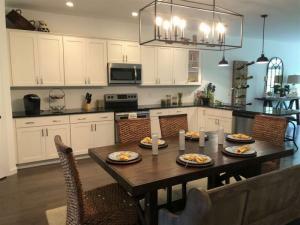 Photos are of our model home and do show upgrades. Open Thursday thru Sunday from 12 to 3. This home can be ready in 5 months features southern exposure and garden windows. Country Living at its BEST! 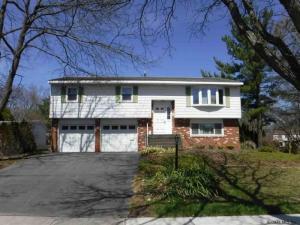 This 4 Bedroom & 1.1 Bath, Colonial is ready for your family. Lots of outdoor space for entertaining and recreation. The backyard allows privacy to have a family picnic and games. Space allowed to build any size garage. Circular driveway. Spacious & Bright rooms with wooden and pergo floors. Lots of space for storage(Walk-in closets) Laundry on 2nd floor.House was remodeled -new electric,plumbing,insulation,sheet rock & septic & leach field. New Roof in front 2015 and in back 2016. Live in the Town of Carlisle with many community activities to participate in. Cobleskill-Richmondville CSD w/sport opportunities. Easy and quick commute to Schenectady and Albany. 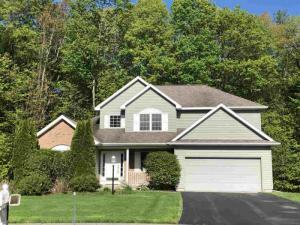 Come see why some many have decided to call The Villages of North Greenbush their home. 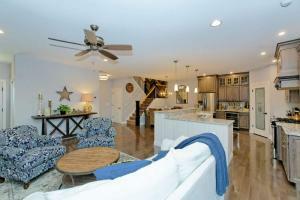 Featuring hardwood floors, tile, granite counter tops, Wellborne Cabinets and Kohler fixtures. The Villages offer a supreme location with direct access to 787 and I90 and walking distance to CTDA bus line for those who choose to use community transit. Photos are of our model home and do show upgrades. Open Thursday thru Sunday from 12 to 3. Located in the heart of Warrensburg!!! This Ranch style home has a stunning great room w/cathedral ceilings/amazing mountain view and plenty of sunlight with all the windows. Formal dining room, spacious kitchen w/plenty of cabinets and a deck off of kitchen for entertaining!! 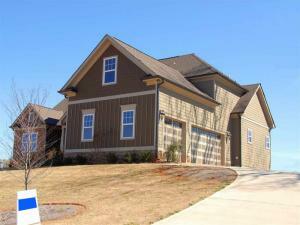 First floor features 2 bedrooms, large closets~ Separate entrance to master bedroom w/covered porch. 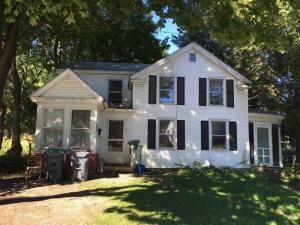 Downstairs has a den/bedroom w/separate entrance and half bath~ wood burning fireplace that needs work. Attached 2 car garage. Walk to the Warrensburg Elementary Schools. Incredible fam hm boasting a gorgeous $30K Kit-2014. Schrock Cab, Corian Cntrs. Appls incld 2nd Oven. Tile flr. 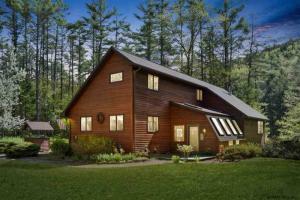 Cambria Cntr on Island for 2! Recess & under cab lighting. Sharp tile backsplash. Anderson slider to large deck. 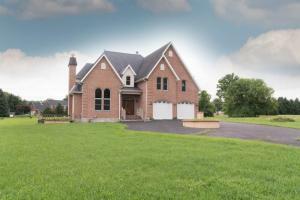 Custom open flr plan w/LR & DR including hdwd flrs & Bay wndw! 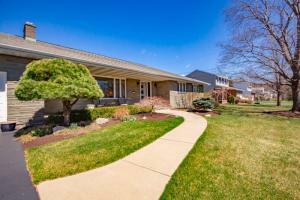 Full BA, Granite Cntr, Schrock Cab, tile flr, updated shower/tub. Hdwd flrs in all BRs. Mstr BR offers 2 sep closets. 2nd Slider to deck from Mstr for am coffee! 2 adorable addtnl BRs. Tile & new carpet-2018 in Fam rm, cedar & coat closet, desk, builtin cabs & shlvs. 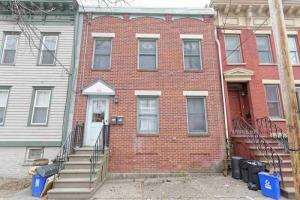 Updated Half Bath, tile flr & wainscoting, W & D incld. 2 Car Gar. Cool Epoxy flr. Deck, Shed w/power, Fenced Yd. 2016-Windows. 2016-Furnace w/humidifier. 2015-C/A. 2017-Hot Water Tank. 2017-Wtr Softener. 2018-Roof. 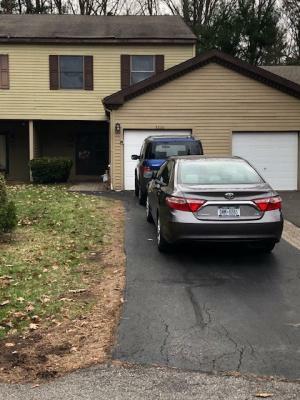 $5K CREDIT FOR NEW DRIVEWAY! This charming home is located on a quiet street in Brunswick. In need of some TLC to return it to it's former beauty but you'll be rewarded in equity. It offer's 5 bedrooms, 2 baths and an in ground pool. 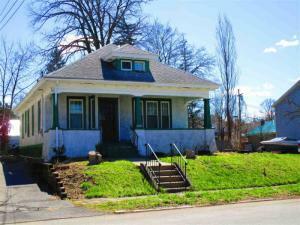 Whether you are looking for an investment property or somewhere to call home this is a MUST SEE. 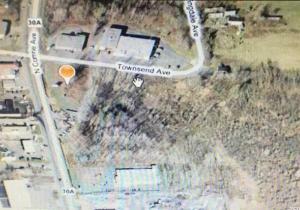 This is a bank owned property and sold as-is. 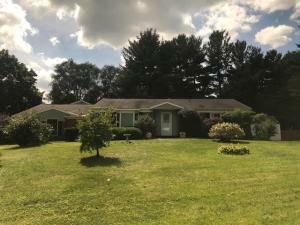 Sun lit ranch nestled in the heart of Olde Delmar. Walk to everything! 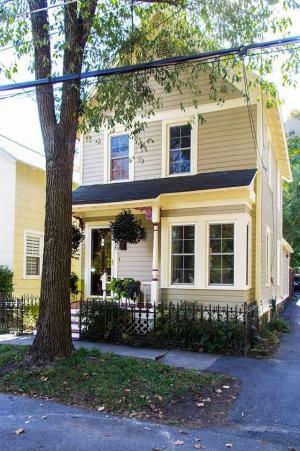 Hardwood floors, built in bookcases, renovated main bathroom, King sized master bedroom! 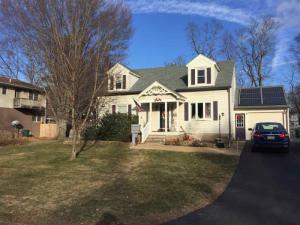 Roof, windows, siding all replaced, on demand tankless hto water heater, professionally landscaped, new paver walk way and front steps, newer gutters and driveway, fenced yard. Freshly painted in neutral colors. Enjoy one-floor living and low maintenance exterior. Steps to Bethlehem Public Library, Rail Trail bike path, Perfect Blend, Twisted Vine, Delmar Marketplace. Hamagrael Elementary. FOR RENT w/ Immediate Occupancy. Showings submitted via Showing Time. 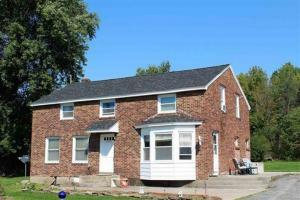 Solid Brick Front Exterior with driveway for two parking spots. Great proximity to all major highways and retail locations. Utilities are not included. Pets are ok with additional Non-Refundable Deposit starting at $500+. Upon signing the lease Security Deposit (1200) + Last Month Rent (1200) is due. Upon moving in we will pro-rate the rental amount and non-refundable pet deposit is due at that time as well. Pre-Qualifying through the listing agent and Rental Application w/ Credit Score are required prior to showings. 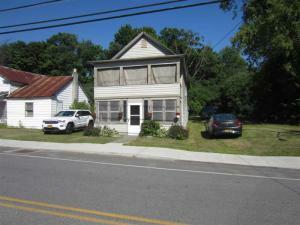 Two story home near the the center of the Lake Luzerne business district, easy walk to all amenities. 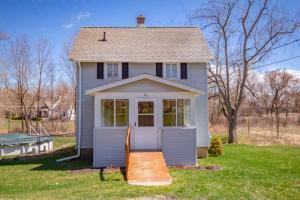 Updated Bungalow on a Quiet Dead End Street. Enjoy the watching the deer and turkey from your back patio. Raised bed gardens ready for the Spring planting season. 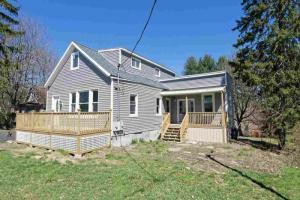 So many updates including Stone Back Splash, Stainless Steel Appliances, Windows, Boiler, Paved Driveway, Bath, Fenced in Yard and Refinished Hardwood Floors. Upstairs Master Bedroom with additional unfinished room would make a perfect 3rd Bedroom or Master Bath. Call today for a private showing. Location, Location!! 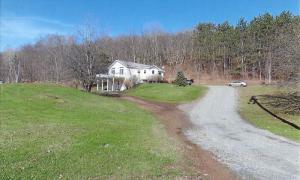 This home sits on 1.4 acres, less than 1 mile from village of Middleburgh. 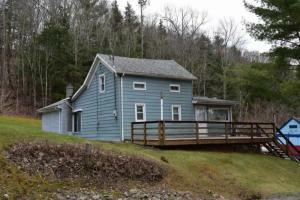 Large front deck with a partial view, 2 bedroom can be expanded to three. Use large family room for 3rd bedroom. 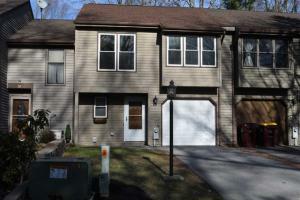 Hardwood floors, newer kitchen, master bedroom large enough to add a master bath. Comes completely furnished. 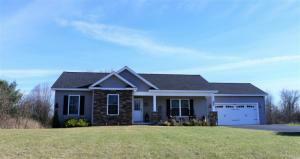 Meticulous is what best describes this open flowing "move in ready" stone accented ranch home in Pinewood Estates. Granite kitchen w/ SS appliances, tiled back splash, and breakfast area overlook resort quality great room featuring, gas fire place, bright windows, tall ceilings (trey box) custom lighting, and extensive custom crown moldings & hardwood floors throughout. You will not be disappointed if you're looking for easy one floor living. Master suite features vaulted ceilings, custom windows, walk in closet & floor to ceiling tiled full walk-in shower. Amazing finished basement with rec room and bar area adds that space that will allow for effortless entertaining. 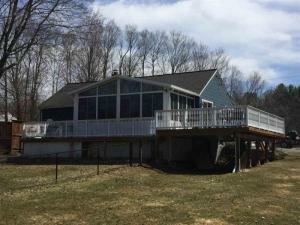 Great deck and concrete patio overlooks wooded lot. Bilco doors in basement allow easy access to the yard. Great location on the South Side of Amsterdam. Walking distance to fantastic restaurants, bakeries, night life and Amsterdam's own Historic Castle. Perfect for starter home or downsizing. Basement has it's own entrance & is being used as a 3rd bedroom. 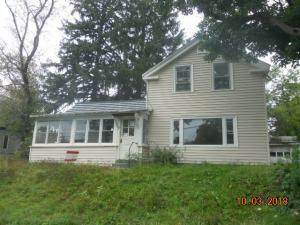 This home is currently a rental bringing in $870/month + utilities. 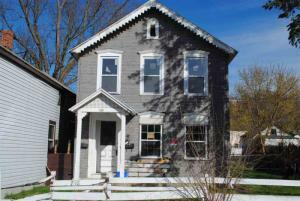 This three bedroom one and half bath home is located in a quite neighborhood, near Ellis Hospital and Stienmezt Park. 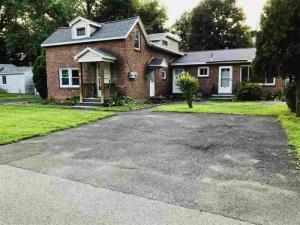 The home is on a double lot (80 x 100) with apple tree’s and flowering plants. 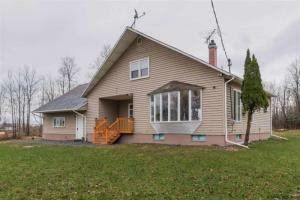 The home has been insulated, and has a updated furnace, hot water tank, windows and rain gutters. The bedrooms have hardwood floors and ample closets. The first floor has a eat-in kitchen, living room-dining room combination and a half bath. A front porch that has room for a few chairs, and overlooks the large side yard. An enclosed back porch that goes out to a fenced in area of the yard that would be great for a dog. Come and see the potential in this home. 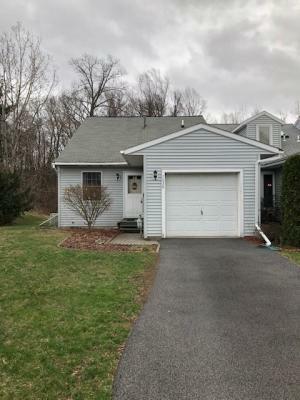 Sited in the terrific Kayaderosseras Estates neighborhood surrounded by soft pines, this 3 bedroom, 2.5 colonial has a lovely backyard with deck. 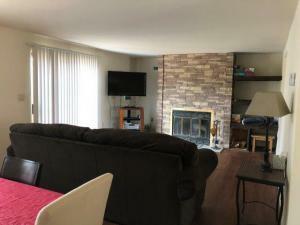 Some hardwood floors, large sunny eat in kitchen, C/A, newer hot water heater, generator, Family Room with gas fireplace, and underground sprinkler system. 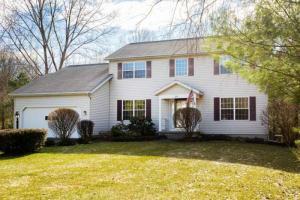 Master bedroom has large walk-in closet and clean basement has a terrific workshop area. 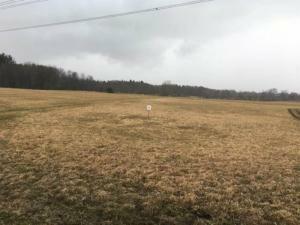 Ready for a new home prepared building lot with all utilities on site and all the City permits in hand. 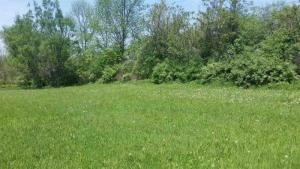 Nice lot in a well established neighborhood within easy walking to a beautiful pond and a playground at Buckingham. 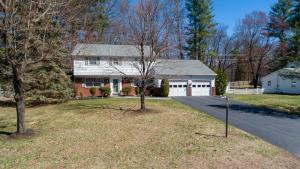 Convenient commute to all points in the Capital area. 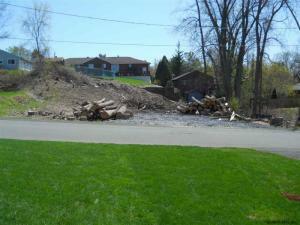 A nice cleared building lot with all utilities on site and the permits to build from the City on hand. 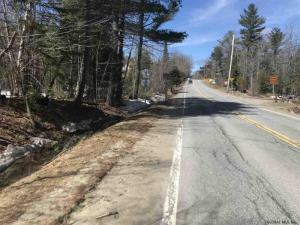 Nice location on a dead end street, yet easy commute to all points, and a nice place for walks near a beautiful Buckingham pond. If desired, the current owner, a builder, will build to suit, or chose your own builder. 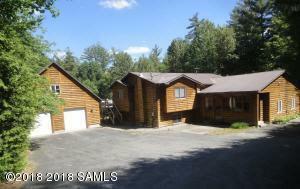 CUSTOM LOG SIDED HOME near Schroon Lake on 1.5 superbly landscaped acres. Features Adirondack great room w/attached sunroom. 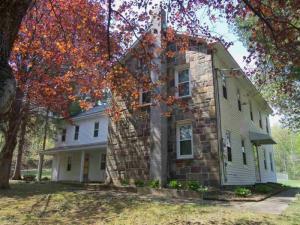 4 bedrooms, 3 baths, living room, kitchen, family room with woodstove and finished basement. 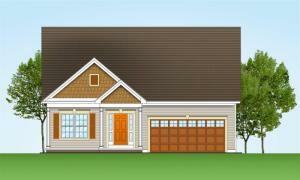 Oversized 2-car garage w/separate heated game room and more... Automatic generator & AC. 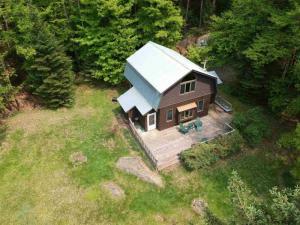 Easy access from I-87 and short drive to Gore Mt. 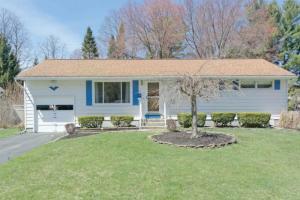 Home COMPLETELY REMODELED for you! 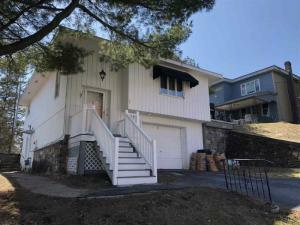 This move in ready, 3 Bedrm, 1.5 Bath RANCH with OPEN FLR PLAN, LG laundry rm, (newly carpeted) LG family rm, extended two car garage w/opener, SITUATED ON A HUGE CORNER LOT. 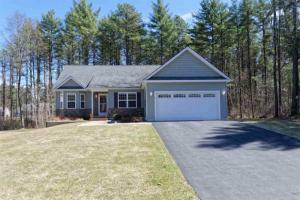 Brand new kitchen & baths with MODERN finishes! Enjoy the comfort & cost efficiency of the radiant floor heating system in main living rm! New stone veneer on fireplace! New Anderson windows! All new plumbing & electrical throughout. High efficiency DUCTLESS AC UNITS. NORTH COLONIE SCHOOLS. 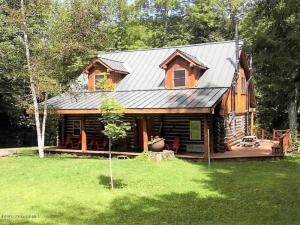 Wonderful location and 3.3 wooded acres for your 4 season vacation retreat. Only 15 minutes to Gore Mountain Ski Center, the premier family ski venue in the Northeast - 30 minutes to Lake George Village - Northway Exit 21 &22; Bolton Landing and Sagamore Golf Course, built by Donald Ross, off Exit 24) or the Lake George outlet stores off exit 20. Enjoy all the Adirondack Mountains and lakes have to offer year round. 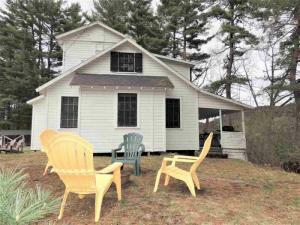 Two darling seasonal Adirondack Cottages in Lake George. Live in one and rent the other! Its like vacationing for free! 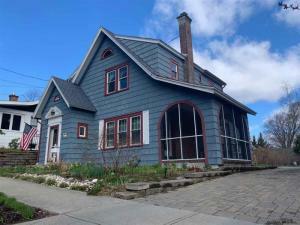 ''Loon'' has 2 first floor bedrooms, full bath, living room, eat-in kitchen, a unique hidden staircase behind original woodwork bookshelves, leading to a finished recreation room/sleeping quarters, a large covered porch overlooking distant mountains. Potential to make year round, has full basement. ''Dome Island'' is a 2 Story Cottage with a generous front porch, sitting atop a knoll. 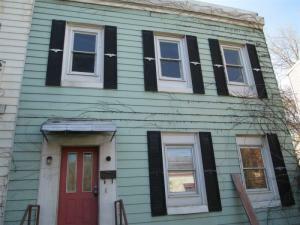 Cozy living-room, large kitchen, 1st floor bedroom, 2nd floor bedrooms, & updated bath. 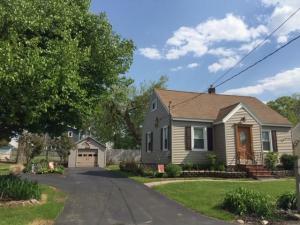 Quiet neighborhood on a dead end street and conveniently located midway between Lake George Village strip and the Great Escape Park and Outlets. Near the bike trail. Great seasonal rental history. Home Sweet Home! This Eastside 4 bedroom home has it all! 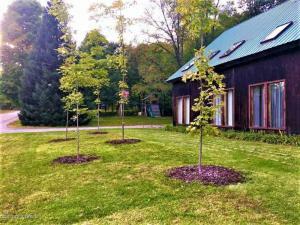 Fully insulated energy efficient home with 3 zoned heating (all with NEST thermostats). Family room off kitchen, den with built-ins, screened porch, and pavered driveway. 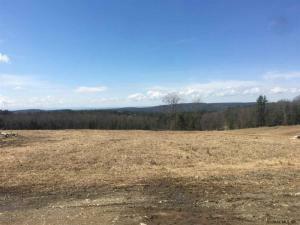 Beautiful gardens to be included in this summers Rensselaer County Cooperative Ext. Master Gardener Tour 2019. Motion sensored outdoor lighting and dusk to dawn landscape lights. New copper piping from street for water main. Separate electrical services in garage. 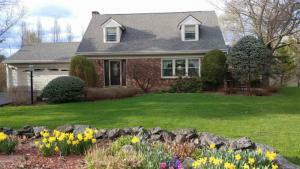 **Showings Begin at Open House, Saturday, 4/20, from 11:30-1:30.